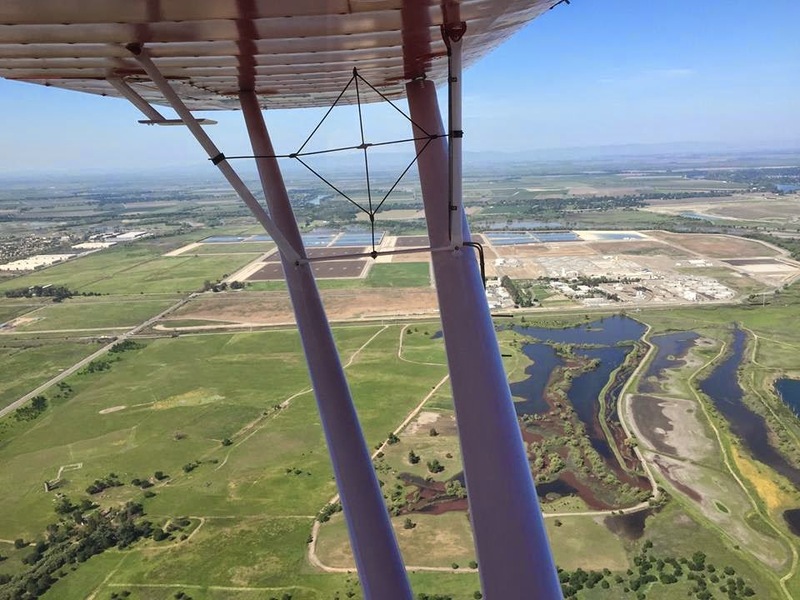 We were at 3,000 feet practicing steep turns, stalls, and slow flight, me knocking six months of rust off when I remarked about my lazy feet: “I need to get back in a taildragger soon!” The comment referred to my insufficient use of rudder in the Cessna 182. I should have known my flight instructor, Stan, would take it as an invitation. For the first 20 minutes, I hated her. 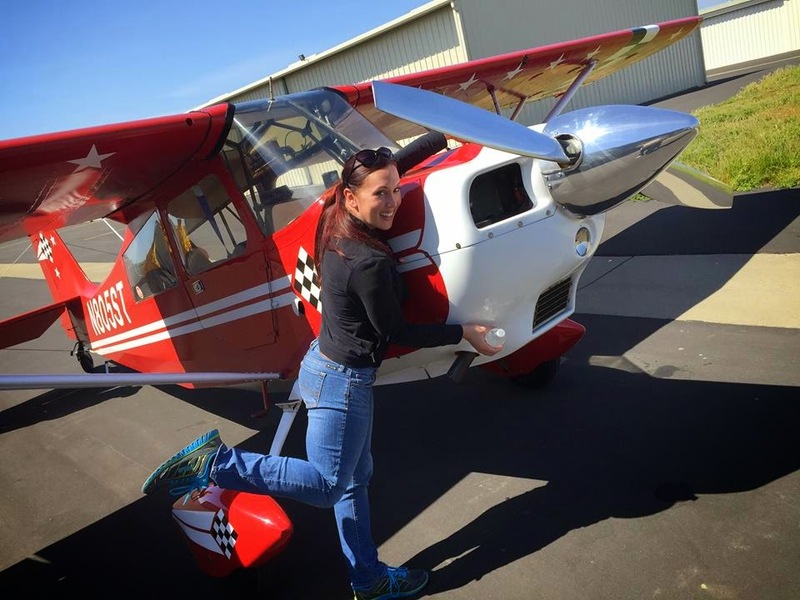 Besides not having flown a taildragger for more than a year, I felt discombobulated by an unfamiliar panel, one with important switches above and behind my head, instead of in front like my Cessna 182. But it was a great opportunity to get re-acquainted with the rudder pedals. 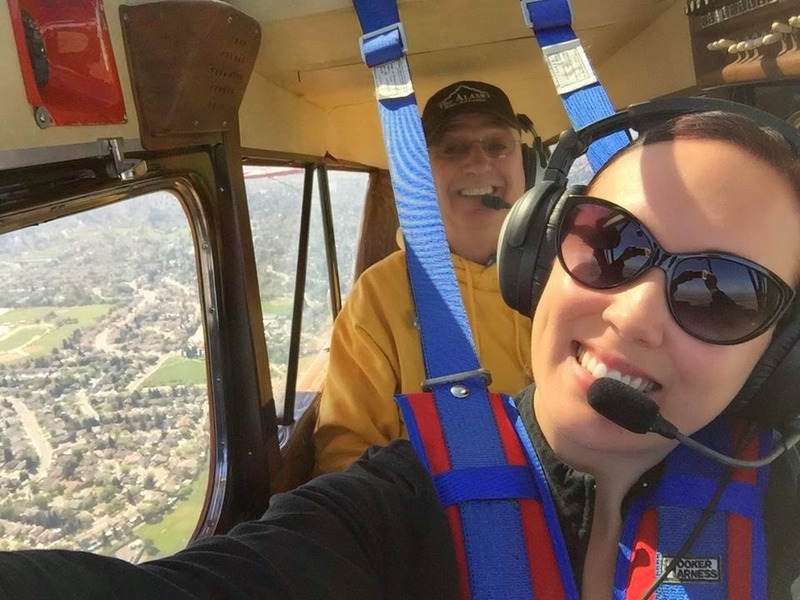 Flying the Decathlon with my flight instructor, Stan. Worked on steep turns, slow flight, stalls, and landings. Foot-operated rudder pedals are used to keep the airplane’s nose pointed in the direction of flight and are used in conjunction with hand-operated ailerons to maneuver. Feet and hands are meant to be “coordinated,” meaning right turns with right aileron and right rudder, and left turns with left aileron and left rudder. (There are exceptions, of course, but that’s the general rule.) Rudders are also important for keeping straight when landing. Like a lot of student pilots, I find I’m often landing a little left of center when landing. On wide runways and in a forgiving tricycle gear airplane like the 182, I can get away with it to a certain extent, but poor rudder management is a terribly bad habit to cultivate and maintain. Taildraggers, with two main wheels and a small tailwheel, require infinitely more rudder finesse because unlike more stable tricycle gear planes, they have more tendency to get out of control on the ground if not handled properly using the rudders. (For a discussion of taildragger take-offs/landings, ground loops, gyroscopic precession and P-factor, click here). Likewise, given how the controls are constructed, taildraggers are more susceptible to adverse yaw in the air. This means the tendency for the nose to go in the opposite direction as an intended turn is more pronounced and requires more rudder to stay coordinated. 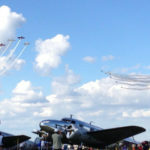 Thus, tail-wheel airplanes, between all of the feedback in the air and the more complicated action on the ground, demand that pilots learn rudder control well. For student pilots like me, they also offer an excellent opportunity to cure lazy feet. 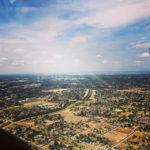 Flying over a thankfully still-green Sacramento. Despite some initial trepidation, after some maneuvering and a few landings at a few different airports, I’m happy to report I’m now a big Decathlon fan. It’s incredible how fast the unfamiliar gets comfortable. I can’t wait to learn more and actually nail some landings! 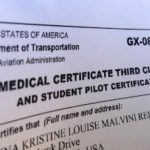 Flight medical and student pilot certificate acquired!